Do you diagnose oak wilt? Absolutely. Sadly, despite its severity, oak wilt is among the more common issues that a tree can experience, so we've made its diagnosis one of our specialties. In many cases, we will have to take a sample from your tree to ascertain whether it truly has oak wilt. 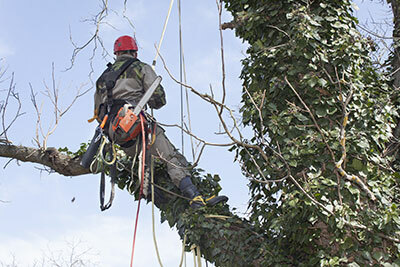 This is another benefit of working with a serious tree service company – some contractors might give an 'approximate' assessment of your tree and claim that there's nothing wrong with it because the wilt in question is of poor visibility. This is almost guaranteed to result in the death of your trees (usually in less than a year) when there could have been a good chance of saving them had a certified arborist performed the inspection instead. Our prognosis for oak wilt varies – while we're vary of being overly optimistic, we're pleased with our results thus far in dealing with this notorious disease. We'll always highlight the seriousness of this condition when talking to you and will give you a realistic estimate of the tree's chances based on how far the condition was allowed to progress and various other environmental factors.